Today I will show you a beautiful nail polish I purchased from Qatar and an easy nail art I did using it as a base. This nail polish is from Top Lady Brand and is available in all beauty counters in Doha and in other middle east countries. This is my one of the favourite chinese brand which has good quality and also low price. 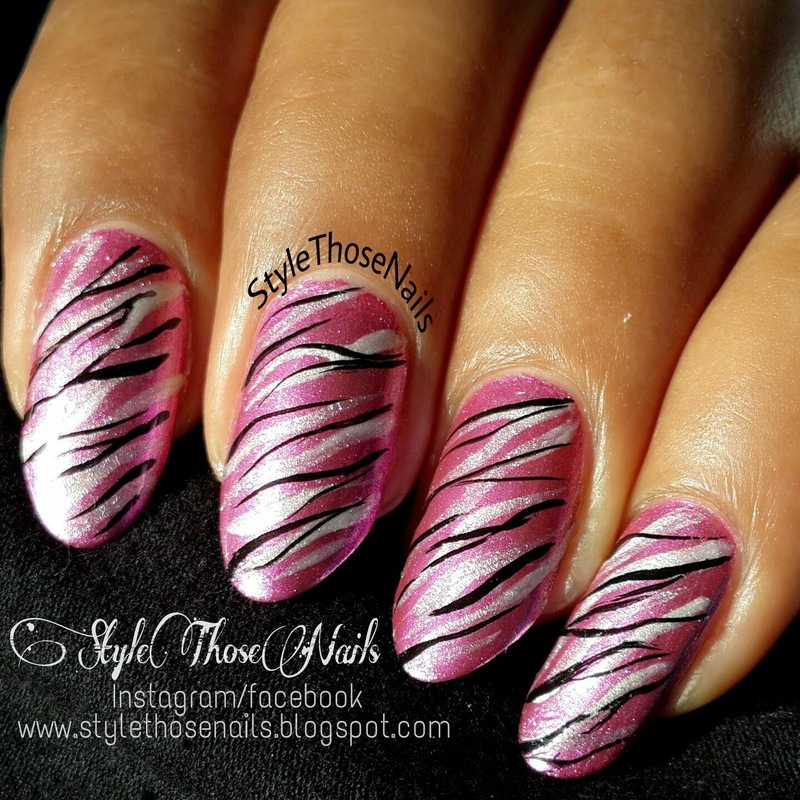 This beautiful metallic pink is a one coater, it's quite opaque and has good smooth formula. I think I will love to wear it during fall/winters. I wore it for two days and there was no chipping. It slightly faded from the tips which wasn't noticable. 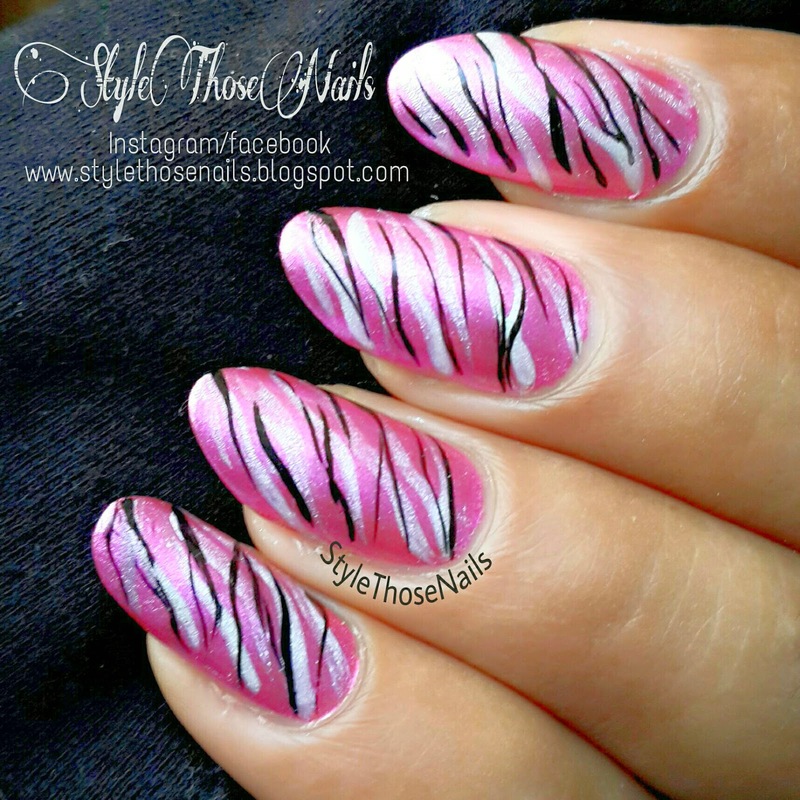 Before removing it I added a zebra design using black and white acrylic colors and top coated it with seche-vite and wore it for another two days. I really like this polish and NOTD what you think about it ? 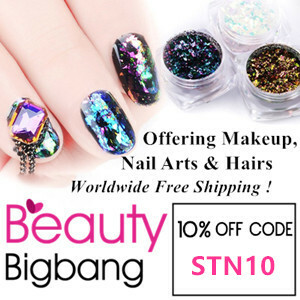 Do you like nail polishes with metallic finish? I would love to hear from you.